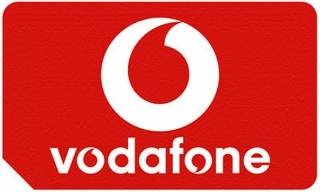 The Vodafone Global M2M SIM offers connectivity in over 200 countries with just 1 SIM card. You can choose the coverage region from our menu list, and you will be able to see the additional countries supported on this rate plan, under the "specifications" tab below. The per-MB rate is different in countries outside of this list, with the least expense in countries where Vodafone operates all aspects of the network, like in Europe. This is a DATA-ONLY plan, with no native SMS/ texting , contact us if you need this capability. IP addressing is private/dynamic in nature. Voice is not supported on the plans. - Remote monitoring and analytics reduce the cost of failure, minimize the need for 'routine maintenance� visits and problems can be fixed before they have an impact on the customer. - Accurate information is delivered in real time, enabling quicker business decisions, less machine down-time and better production yield. - Information can be collected automatically and systems maintained and repaired remotely so engineers and service staff can manage their time more effectively. - Asset tracking enables theft recovery, theft prevention, status monitoring and inventory verification. NOTE: This pre-paid plan supports DATA service only, does not include SMS, and is not intended for voice applications. Listed price is all inclusive pricing, No taxes or other fees added . Plans can be renewed at any time before the end of the contract period by contacting our Sales dept. at sales@embeddedworks.net . Copyright © 2019 Embedded Works Corporation. All Rights Reserved.